Do you want to pay at The College Board / collegeboard.org for your SAT Registration / SAT Scores? We are here to help you to make paypal payment at this website. Just deposit necessary money at our Bank Account / send money to our bKash / DBBL Mobile Banking Account or pay cash at our office and submit support ticket at our website with your CollegeBoard.org Username / Password, we will make your payment via our PayPal Account. The SAT is owned and published by the College Board, a private, nonprofit organization in the United States. It is developed and administered on behalf of the College Board by the Educational Testing Service. The test is intended to assess a student's readiness for college. It is designed to not be aligned to high school curriculum. The current SAT, introduced in 2005, takes 3 hours and 45 minutes to finish, and as of 2014 costs US$52.50 (up to US$101.5 outside of the United States), excluding late fees. Possible scores on the SAT range from 600 to 2400, combining test results from three 800-point sections: Mathematics, Critical Reading, and Writing. Taking the SAT or its competitor, the ACT, is required for freshman entry to many, but not all, universities in the United States. Founded in 1900, the College Board was created to expand access to higher education. Today, the membership association is made up of over 6,000 of the world�s leading educational institutions and is dedicated to promoting excellence and equity in education. Each year, the College Board helps more than seven million students prepare for a successful transition to college through programs and services in college readiness and college success � including the SAT and the Advanced Placement Program. The organization also serves the education community through research and advocacy on behalf of students, educators and schools. The College Board is a mission-driven not-for-profit organization that connects students to college success and opportunity. Our suppliers help us to achieve this mission by providing high-quality and cost-competitive products and services. We are committed to working with all businesses, including diverse suppliers. If you or your subcontractors are a small or minority-owned business, we encourage you to learn more about our supplier diversity program. 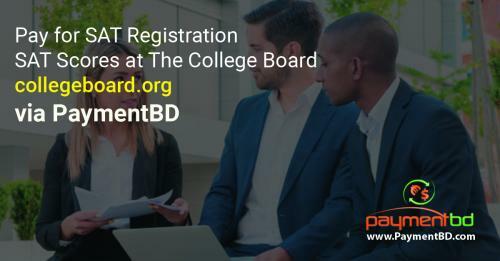 If you are interested in doing business with the College Board, register with us through our [Opens in New Window]supplier registration portal. This is the fastest and most efficient way to be considered as a potential supplier. By invitation: The College Board invites you to register by providing you with a URL. Complete your company profile on the [Opens in New Window]supplier registration portal. Once successfully registered, you will receive a confirmation email. Registration does not guarantee a contract, but it does help us identify you as a potential bidder. If, in the future, there is a match between the College Board�s needs and your company�s core competencies, you will be contacted by a member of our sourcing team. For this reason, it is important that you keep your information complete and up-to-date. Read more about the College Board�s expectations and code of conduct for suppliers. Registration in College Board�s Supplier Database does not certify or designate a firm as a �preferred� or �approved� supplier. Registration gives College Board access to your company�s information. We will use the information in the database as a source of potential suppliers to consider when an appropriate opportunity arises in our Sourcing process. The College Board does not post procurement opportunities. Below is a representative sample of services purchased by the College Board. This list is subject to change.